JEFFERSON COUNTY – A driver killed in a two-vehicle crash last month that also claimed the life of an off-duty police officer was found to be high on meth, according to the results of a toxicology report released this week. The crash, which occurred around 7:10 p.m. Monday, Sept. 17 on Route 219, in Washington Township, Jefferson County, claimed the lives of 32-year-old Corey Alan Williams, of Reynoldsville and 33-year-old Patrick Charles Straub of Kersey. 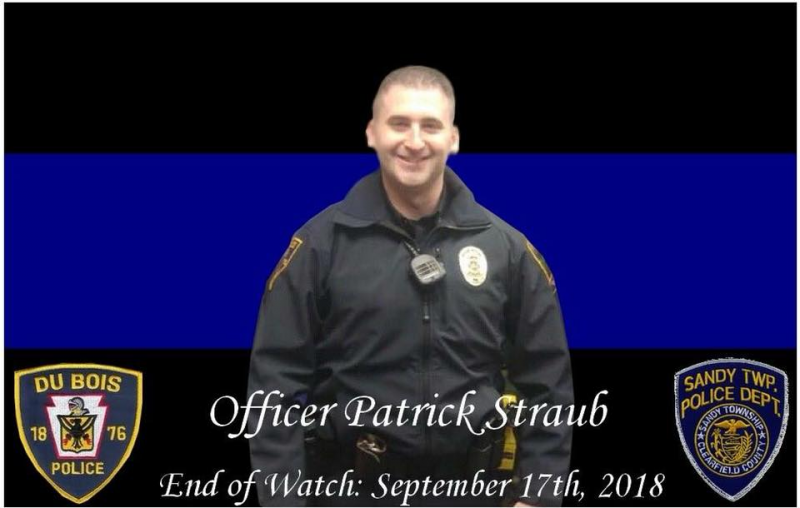 Straub was a member of the DuBois and Sandy Township police departments. According to Jefferson County Coroner Brenda Shumaker, a toxicology report from ForensicDx through NMS Labs showed that Williams was under the influence of an unusually high level of methamphetamine. “The level of methamphetamine was so high it was practically off the chart,” Shumaker said. Police say the crash occurred as Williams was traveling south on state Route 219, just south of Brubaker Road, in Washington Township, when he lost control of his 1997 Jeep Cherokee and traveled into the northbound lane of Route 219, striking Straub’s 2015 Toyota 4 Runner that was traveling north on Route 219. Williams and Straub both died at the scene.